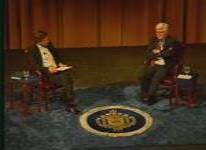 The following biography is excerpted from what was, at the time, the Official Site for Admiral James Stockdale. We retain it, because of that sanction. Since it's writing, recently declassified material has detailed Admiral Stockdale's incredibly courageous command of the POWs in Hao Lo prison, whilst also heading up a successful espionage ring run by himself, the CIA and Sybil Stockdale. More on this mission can be seen in the Smithsonian Channel's - The Spy in the Hanoi Hilton Documentary. Admiral Stockdale was born on December 23, 1923 in Abingdon, Illinois. After graduating from the Naval Academy in 1946, he attended flight training in Pensacola, FL and in 1954, was accepted to the Navy Test Pilot School where he quickly became a standout and served as an instructor for a brief time. Stockdale’s flying career took him west, and in 1962, he earned a Master’s Degree in International Relations from Stanford University. He was the first to amass more than one thousand hours in the F-8U Crusader, then the Navy’s hottest fighter, and by the early 1960’s, Stockdale was at the very pinnacle of his profession when he commanded a Navy fighter squadron. In August 1964, Stockdale played a key role in the Gulf of Tonkin incident, which the Johnson Administration used to justify large-scale military action in Vietnam. 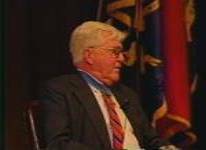 Stockdale always maintained that he had not seen enemy vessels during the event, but the next morning, August 6, 1964, he was ordered to lead the first raid of the war on North Vietnamese oil refineries. On September 9, 1965, at the age of 40, Stockdale, who was the Commanding Officer, VF51 and Carrier Air Group Commander (CAG-16), was catapulted from the deck of the USS Oriskany for what would be the final mission. 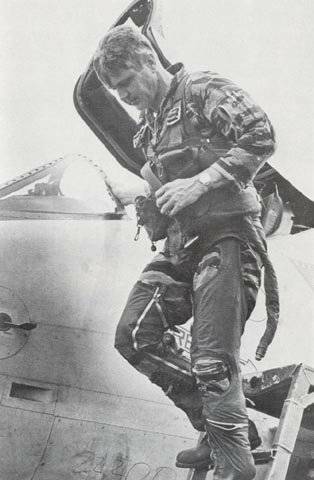 While returning from the target area, his A-4 Skyhawk was hit by anti-aircraft fire. Stockdale ejected, breaking a bone in his back. Upon landing in a small village, he badly dislocated his knee, which subsequently went untreated and eventually left him with a fused knee joint and a very distinctive gait. 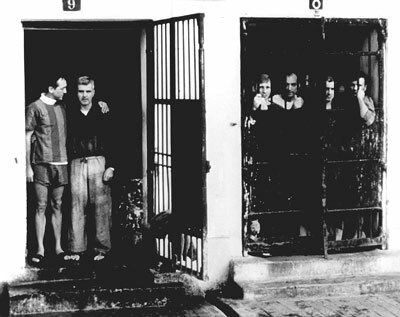 Stockdale wound up in Hoa Lo Prison, the infamous “Hanoi Hilton,” where he spent the next seven years as the highest ranking naval officer and leader of American resistance against Vietnamese attempts to use prisoners for propaganda purposes. Despite being kept in solitary confinement for four years, in leg irons for two years, physically tortured more than 15 times, denied medical care and malnourished, Stockdale organized a system of communication and developed a cohesive set of rules governing prisoner behavior. Codified in the acronym BACK U.S. (Unity over Self), these rules gave prisoners a sense of hope and empowerment. Many of the prisoners credited these rules as giving them the strength to endure their lengthy ordeal. Drawing largely from principles of stoic philosophy, notably Epictetus’ The Enchiridion, Stockdale’s courage and decisive leadership was an inspiration to POWs. The climax of the struggle of wills between American POWs and their captors came in the spring of 1969. Told he was to be taken “downtown” and paraded in front of foreign journalists, Stockdale slashed his scalp with a razor and beat himself in the face with a wooden stool, knowing that his captors would not display a prisoner who was disfigured. Later, after discovering that some prisoners had died during torture, he slashed his wrists to demonstrate to his captors that he preferred death to submission. This act so convinced the Vietnamese of his determination to die rather than to cooperate that the Communists ceased the torture of American prisoners and gradually improved their treatment of POWs. 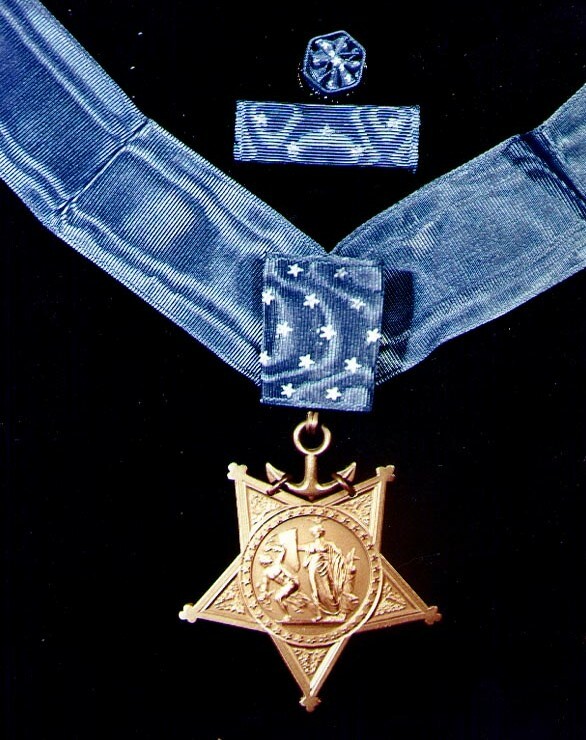 Upon his release from prison in 1973, Stockdale’s extraordinary heroism became widely known, and he was awarded The Medal of Honor by President Gerald Ford in 1976. He was one of the most highly decorated officers in the history of the Navy, wearing 26 personal combat decorations, including two Distinguished Flying Crosses, three Distinguished Service Medals, two Purple Hearts, and four Silver Star medals in addition to the Medal of Honor. 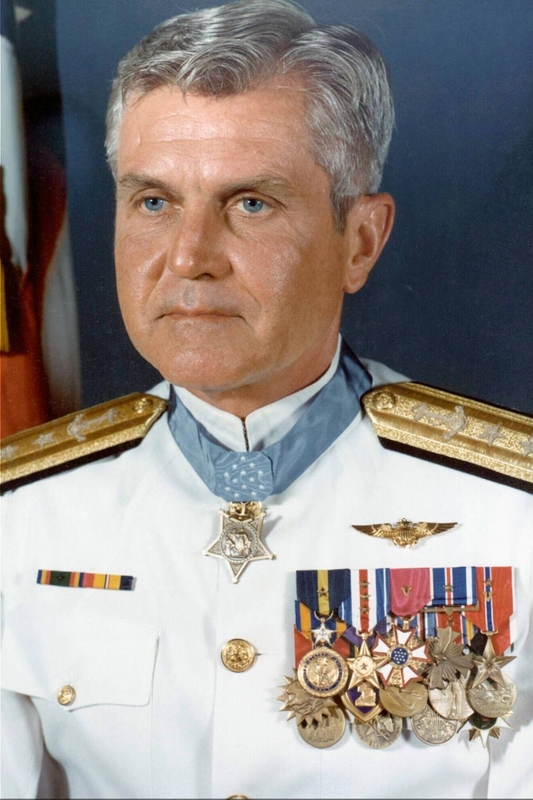 He was the only three-star admiral in the history of the Navy to wear both aviator wings and the Medal of Honor. 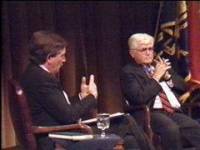 When asked what experiences he thought were essential to his survival and ultimate success in the prison, Admiral Stockdale referred to events early in his life: his childhood experiences in his mother’s local drama productions, which encouraged spontaneity, humor, and theatrical timing; the lessons of how to endure physical pain as a football player in high school and college; and his determination to live up to the promise he made to his father upon entering the Naval Academy that he would be the best midshipmen he could be. It was the uniquely American ability to improvise in tight situations, Stockdale believed, which gave him the confidence that the POWs could outwit their captors and return home with honor despite their dire situation. 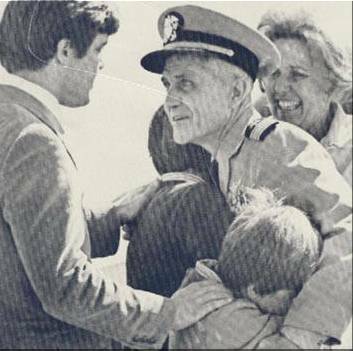 In 1984, Admiral Stockdale and his wife Sybil co-authored In Love and War, detailing his experiences in Vietnam as well as her experiences founding the League of American Families of POWs and MIAs at the same time she raised their four sons. After serving as the President of the Naval War College, Stockdale retired from the Navy in 1978 and embarked on a distinguished academic career. He served 15 years as a Senior Research Fellow at the Hoover Institute of War, Revolution, and Peace where he wrote numerous articles; published both A Vietnam Experience: Ten Years of Reflection and Thoughts of a Philosophical Fighter Pilot; was awarded 11 honorary doctoral degrees; and lectured extensively on the stoicism of Epictetus and on those character traits which serve one best when faced with adversity. In 1992, he graciously agreed to the request from his old friend H. Ross Perot to stand in as the vice presidential candidate of the Reform Party. Stockdale disliked the glare of publicity and partisan politics, but throughout the campaign, he comported himself with the same integrity and dignity that marked his entire career. 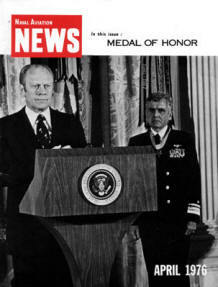 Upon his retirement in 1979, the Secretary of the Navy established the Vice Admiral Stockdale Award for Inspirational Leadership, presented annually in both the Pacific and Atlantic fleet. Admiral Stockdale was a member of the Navy’s Carrier Hall of Fame and the National Aviation Hall of Fame, and he was an Honorary Fellow in the Society of Experimental Test Pilots.